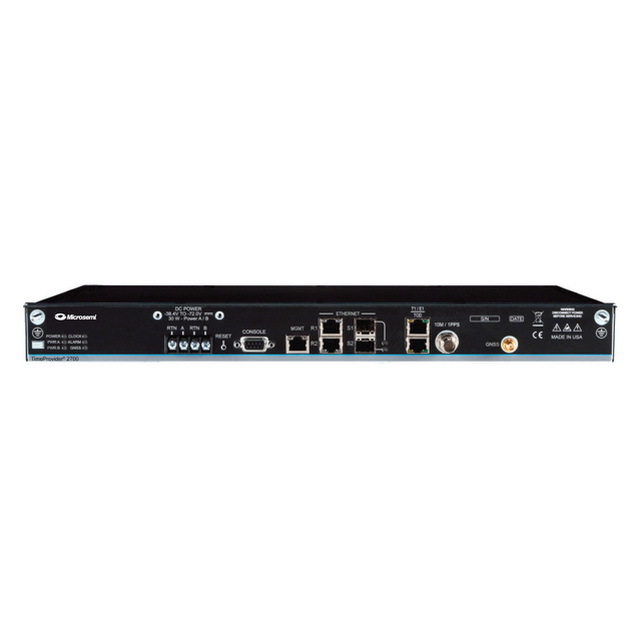 TimeProvider 5000 - IEEE 1588 server has the primary function to, based on the reference signal and the internal Rubidium or Quartz oscillator, generate the PTP (Precision Time Protocol) packets, providing synchronization to own clients over an Ethernet network. Server capacity is up to 500 clients per port, up to 1000 clients per oscillator module (128 messages/sec) and up to 500 VLANs per port. Also, this unit generates 4 x E1/2.048MHz, 10MHz and 1PPS signals of standard synchronization. 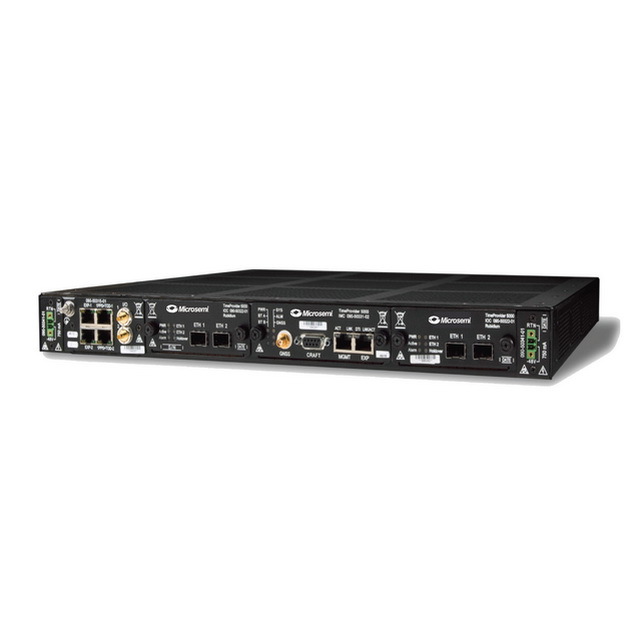 TimeProvider 5000 is upgradable with NTP function, thus providing 20.000 transactions per second per device port.